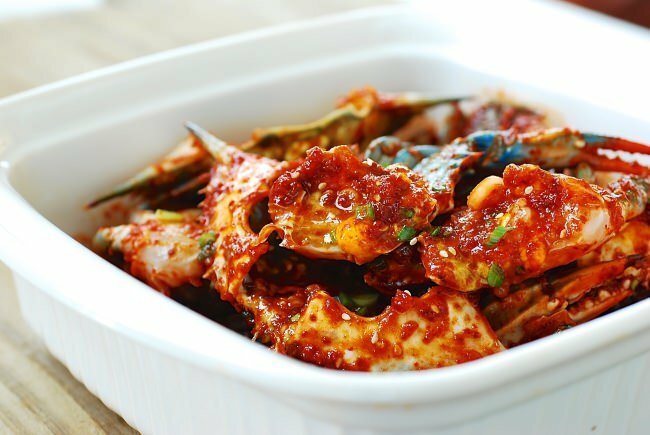 Yangnyeom gejang (양념게장) is a spicy marinated raw crab dish. 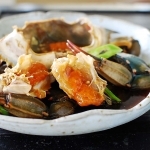 As I mentioned in my ganjang gejang (간장게장) recipe, gejang (게장) is a traditional dish that used to be marinated in a very salty soy sauce brine as a way of preserving the crabs for a long time. 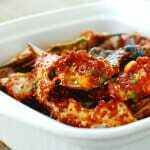 These days, the crabs are lightly preserved, in either a mild soy sauce-based brine (ganjang gejang) or in a spicy sauce (yangnyeom gejang), to be consumed within a few days. 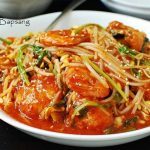 In Korea, there are numerous gejang specialty restaurants serving both types of gejang, but we are not as lucky here in the U.S. You may have seen this dish served as part of the side dish (banchan) spread at some Korean restaurants in the U.S. It’s not that common, so my family considers it a real treat when we see it at a restaurant. 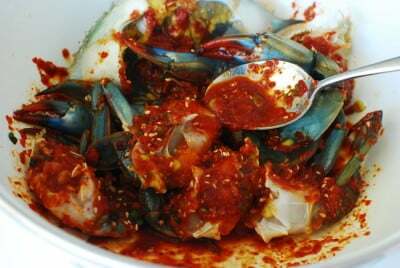 Female crabs with roe are preferred by Koreans for making gejang because seasoned crab roe is delicious! 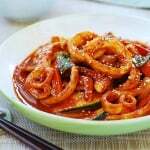 In Korea, gejang quality is partially determined by the amount of roe and tomalley in the crabs. It’s icing on the cake! Of course, you can also use male crabs. The most important thing is to buy the freshest crabs. Freezing them will help with cleaning. Clean the crabs very well under running water. 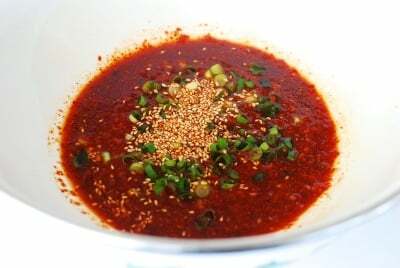 Making the spicy version is fairly simple. 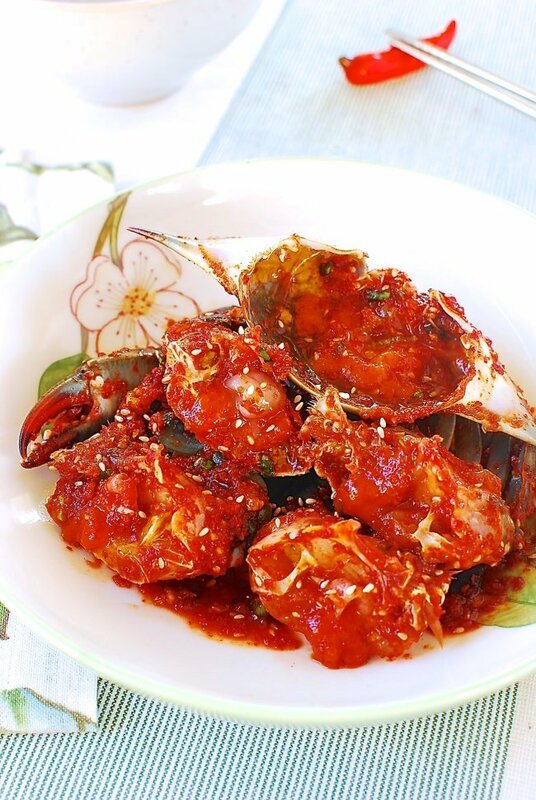 Prepare the seasoning (yangnyeom), clean the crabs, and mix with the seasoning. For ganjang gejang, the whole crabs are soaked in a soy brine. 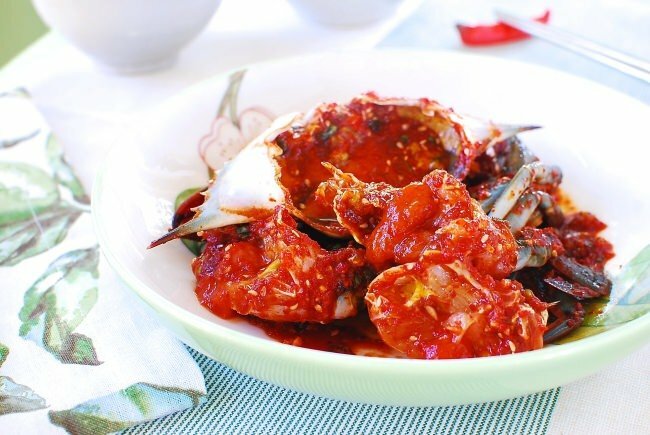 On the other hand, for yangnyeom gejang, the crabs are opened and cut into pieces before being marinated, for the sauce to coat and penetrate the crab meat. 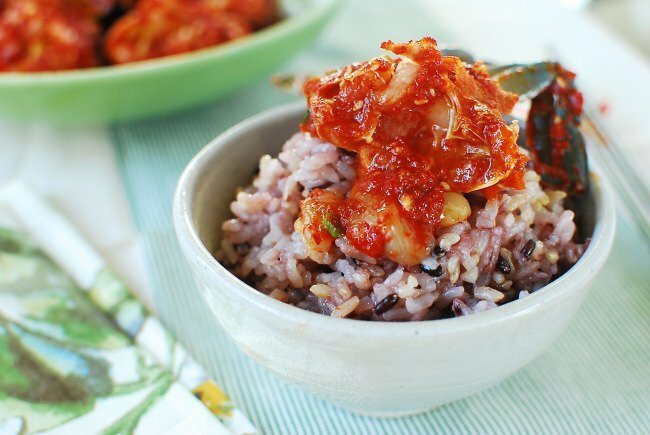 This slightly sweet, salty, spicy marinated crab dish will certainly live up to its reputation for being a “rice thief” (밥도둑). Be ready to enjoy with lots of rice! Put the live crabs in the freezer for an hour or two (longer is fine as well). Combine all the seasoning ingredients and mix well. 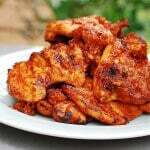 The seasoning can be prepared a day or two in advance. It will further develop flavor as it sits. Plunge the frozen crabs in cold water to thaw. Separate the top shell and remove the gills. 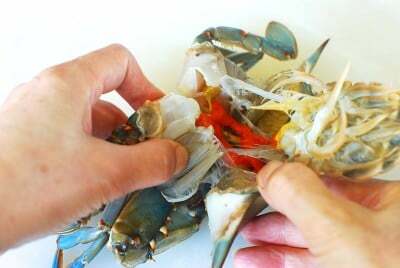 Clean the shell part of the crab thoroughly, with a kitchen brush or a toothbrush, under running water. Break (or cut) the body in half (or quarters). You can cut off the sharp end of each small leg with a pair of kitchen scissors if preferred. Drain well in a colander in the fridge. It’s important to minimize the time that the crabs are out at room temperature. Combine the crabs and seasoning, and toss to coat well. Spoon some sauce into the top shells. 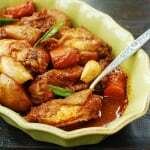 Marinate for a few hours at least or up to a couple of days in the fridge. These spicy crabs are best eaten within a couple of days. You can add some chopped onion and/or chili pepper to the seasoning sauce. 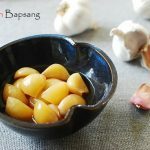 Also, you can add 1 tablespoon of Korean plum syrup (maesil chung, 매실청), or 2 tablespoons of grated pear or apple for some fruity sweetness with a hint of acidity. 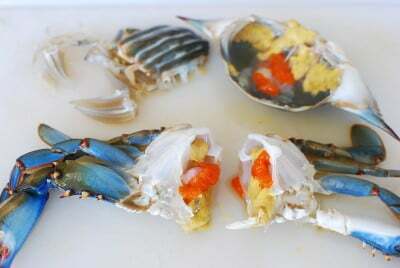 Ever since a friend shared some spicy raw crabs with me, I have wanted to learn how to make this tasty dish. Thanks so much! Hope you get to make it soon! Thanks for visiting! You’re so lucky to have access to fresh raw crabs. I’ve been looking around to find some fresh crabs recently but I only found frozen ones. Even these frozen ones are hard to find! 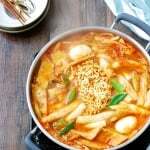 I hope I can make Gejang soon! 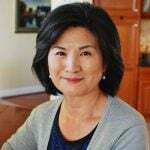 Hi Sue – Commercially frozen crabs should be okay for gejang. Hope you can make it soon. This looks really good but I am afraid of live crabs, even if they have been frozen. Every time I get this dish as a banchan at a restaurant, I say, “yes!” to myself. So yummy. Yup I know the feeling! You’re welcome! The grandmother’s food is the best! Hope this recipe helps you recreate your grandmother’s crabs. Cheers! I would like to report that this recipe totally works with soft shelled crabs. Oh that sounds great! 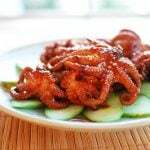 I’ll try it with soft shelled crabs. Thanks! hmmm I’m not sure what you mean by starting to ferment. The crabs should be okay but it all depends on when she made, the salt level, and how they have been stored. If it tastes funny, maybe it went bad. Sorry I cannot give you a definite answer. I can’t wait to make this for my family. I may make this over the next coming week. Thanks! Hysosun is such a Korean food expert. Her raw crab meat is delicious. So juicy and overflowing with her natural Juices. Sorry English not my first language.